At the 2016 TFAC Woodstock Convoy 84 trucks took center stage rolling along hwy 401 in a rainbow of Pink Ribbons raising awareness & funds in support of the Canadian Breast Cancer Foundation. Your generous support & commitment raised over $94,900 a huge thank you to all our drivers,sponsors & supporters you are the “ChangeMakers” driving out breast cancer 1 truck at a time! You can still donate until the end of the year on line. 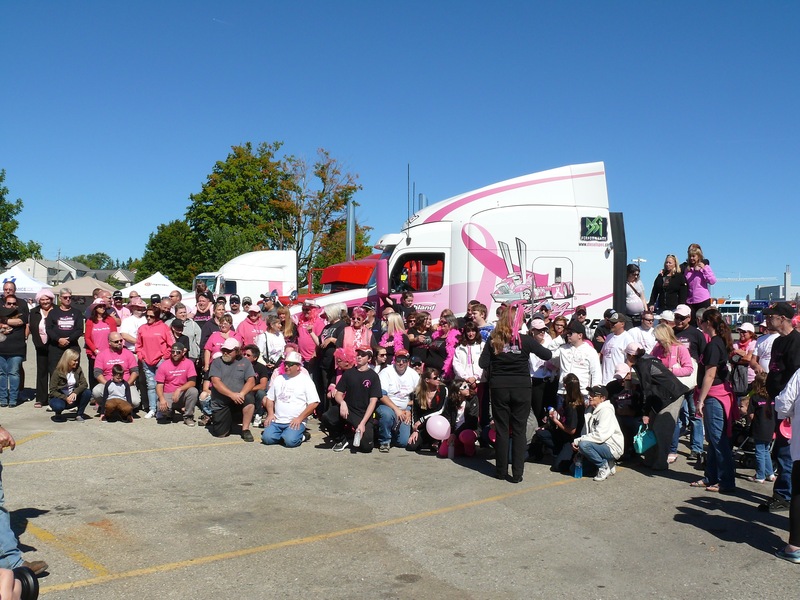 Thank you for helping us Drive Out Breast Cancer 1 Truck at a Time! You can view photos on our Facebook Page or photo page on the website. 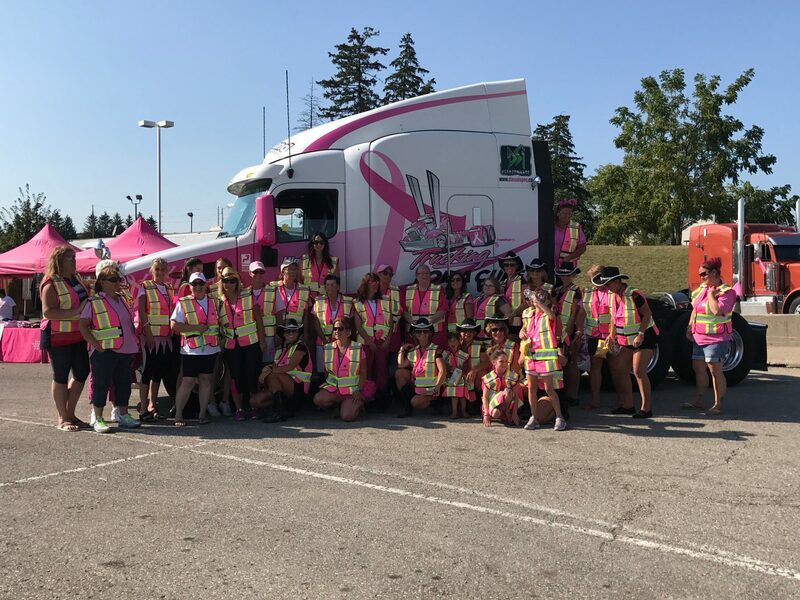 Trucking for a Cure holds two convoys each year, one in Prescott Ontario and one in Woodstock Ontario to raise awareness and support for the Canadian Breast Cancer Foundation to help fight cancer. Join us next year by signing for the newsletter and staying in touch with the latest updates.